Halo. It’s one the defining franchises of the Xbox brand. And It’s something I’ll never understand, but it certainly has a fervent fanbase. Microsoft showed off some brand new Halo 5 Guardians footage today, also showing how the game is geared towards eSports. The Arena 4v4 mode is perfect for tournament play, blending team deathmatch with objective based gameplay. Making the same mistake EA did at Gamescom a year or two back, Microsoft showed off the game being played as an eSports game – which is fine for people who love that sort of thing, but terrible for a press conference. Still, with some good shoutcasting, the capture-the-flag match between optic gaming and Epsilon eSports certainly looks like it’ll be a hit with people who go in for that competitive gaming. Incidentally, I once entered a Halo tournament for the laughs. I lost the first round. 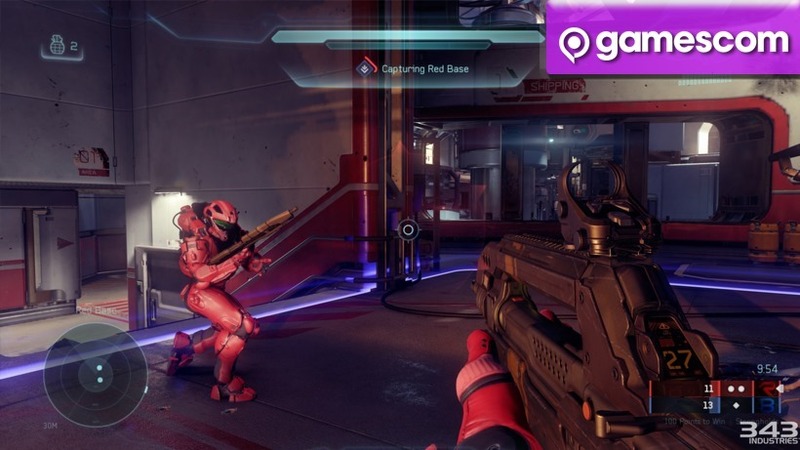 Microsoft also announced a Halo 5 themed Xbox One coming – that packs in a 1TB HDD.